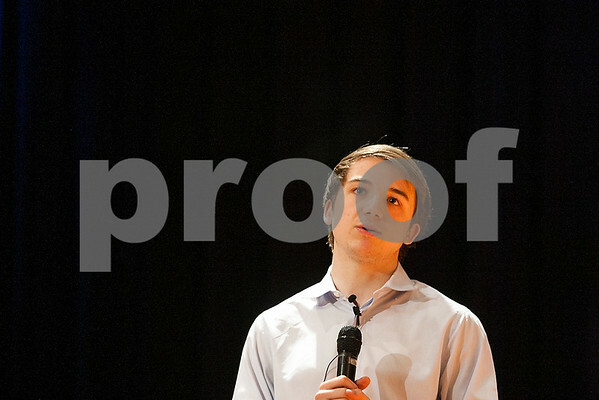 Jack Andraka, now a high school senior who at the age of 15, invented an inexpensive early detection test for pancreatic, ovarian and lung cancers, speakers during his key note address at the Holmes Student Center on the campus on Northern Illinois University on Wednesday, March 11, 2015. Andraka, an author and inventor, 18, has received international acclaim for his cancer research. He spoke to high school students interested in technology and biology from Huntley, Sycamore, Kaneland, and Genoa-Kingston.